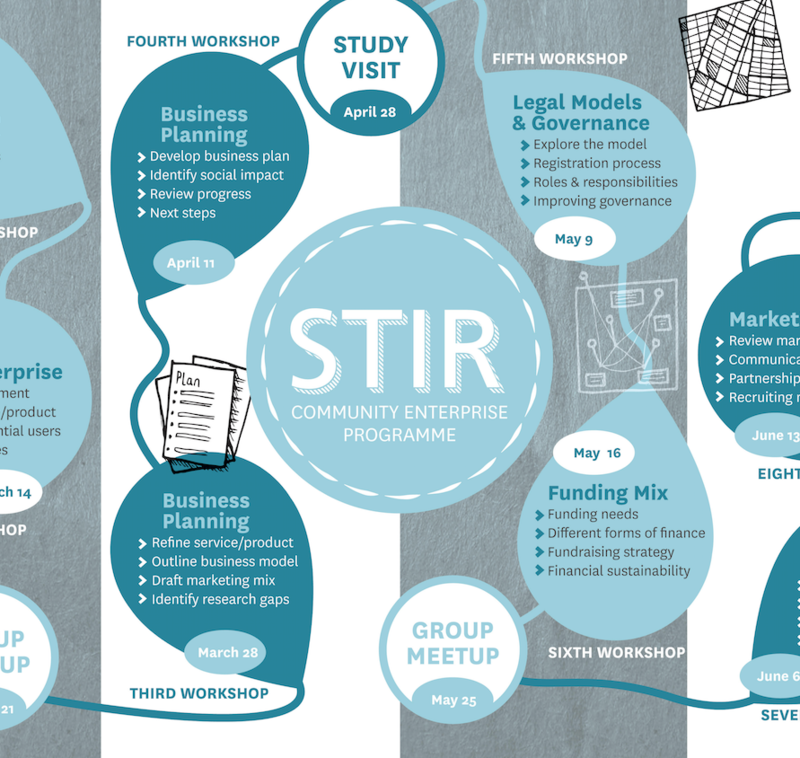 As part of Stir To Action's Unlocking the Next Economy project, a year-long pilot to use church buildings for community enterprise, we are offering a free enterprise programme to support a local group of people in Bridport to design, create, and launch a new community enterprise that will be based at the United Church. The enterprise programme will follow on from our Community Open Days on 19 and 20 January, where we are inviting the local community to create ideas and vision for a new event space within the church. 3 March. Bootcamp: Getting started, meeting the team, tools for working together, and identifying the programme's aims and objectives. 14 March. The Enterprise: Idea development, agree service/products, and identify potential users. 21 March. Group Meetup: Join the group to review the workshop and begin designing the enterprise. 28 March. Business Planning: Refine service/product, outline business plan, draft marketing mix, and identify research gaps. 11 April. Business Planning: Develop business plan, identify social impact, and review progress. 28 April. Study Visit to a local Community Enterprise to meet the team, see how it all works, and get some inspiration. 9 May. Legal Models and Governance: Exploring the model, legal registration process, roles and responsibilities, and improving governance. 16 May. Funding Mix: Identifying funding needs, different forms of finance, fundraising strategy, and financial sustainability. 23 May. Group Meetup. Join the group to review the last few workshops. 6 June. Branding: Core values, storytelling, target audience, and visual identity. 13 June. Marketing Plan: Review marketing mix, communication Strategy, partnership building, and member recruitment. 20 June. Group Meetup: The final meetup of the programme to plan a launch event for the new enterprise. *All of the above sessions, with the exception of the Bootcamp and Study Visit, are on Wednesday evenings from 6.30-9.30pm. The Bootcamp is 10am — 12pm on Saturday 3 March, with the study visit to be confirmed. All sessions, with the exception of the Study Visit, will be hosted in the Upper Room at the United Church on East Street in Bridport. • Build a new enterprise that benefits the local community. • Develop your own enterprise skills. • Work with other local people on an inspiring project. • Participate in a free programme. 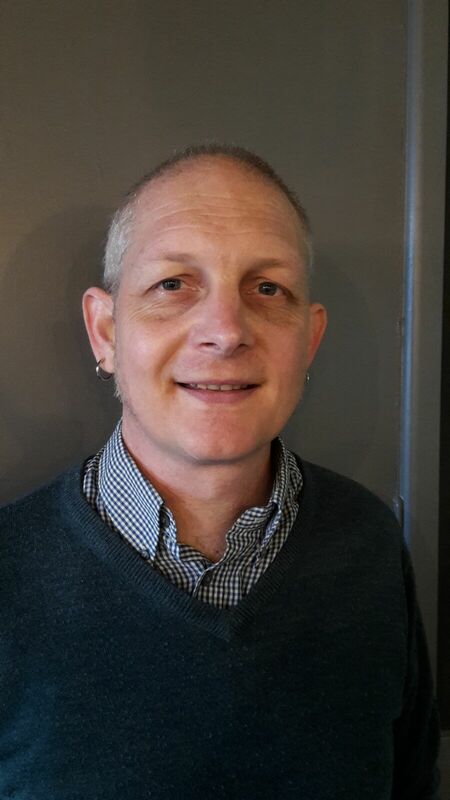 Nathan Brown is a co-operative and social enterprise advisor with 25 years experience, working with Co-ops UK, Plunkett Foundation and Cooperantics. He has recently supported Vert Wood Community Woodland with their governance and legal registration to support a local community group to take on the lease of a 171 acres of working woodland. He's worked with Puzzle Hall Inn – a Community Benefit Society – to revise their business plan and Community Share Offer document to comply with the Community Shares Standard Mark, raising funds to purchase and refurbish a pub and music and community venue. And he's also supported Zakat House, a faith-based charity in Central London, with their business planning for a short-term premises to provide support to small charities, housing 50+ micro charities and community groups for two years. Interested but want more information? Email our team on events@stirtoaction.com to arrange a call or meeting.